I'm going to share to you my new addiction! Obviously, as you can see on the title its a face mask! Wanna know why? Face masks are not very popular here in the Philippines. I didn't even see any brands locally that sells one. 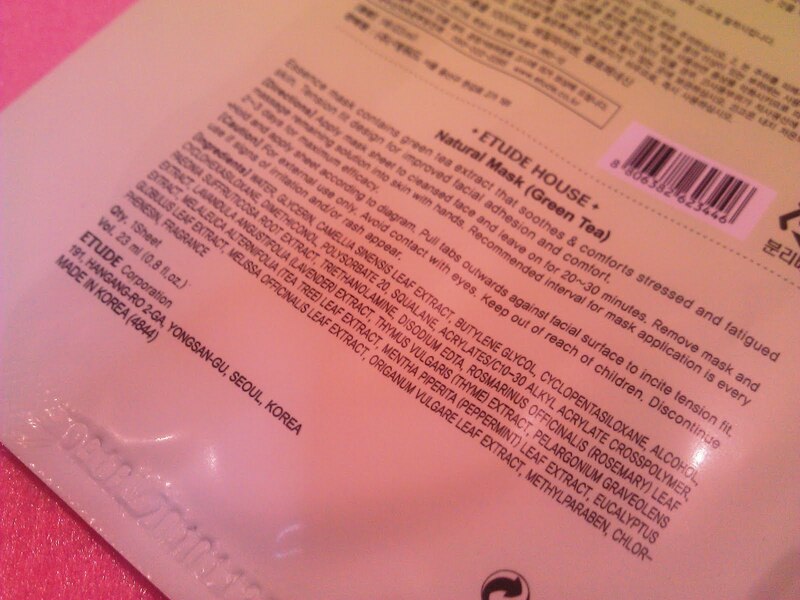 Good thing Etude House is here to introduce the much awaited face masks that most Asians use. Tan~ta~ra~ran! 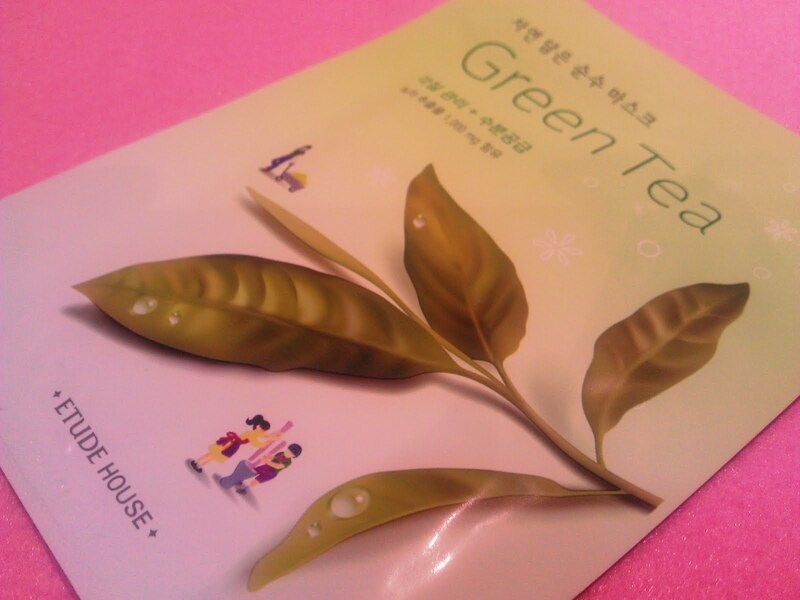 The Green Tea Face Mask! Usually, face masks are comes in tubes but this kind of mask comes in a piece of clothe that is pre-soaked with different types of skin treatment solutions. So much for the talking, let's start the review! 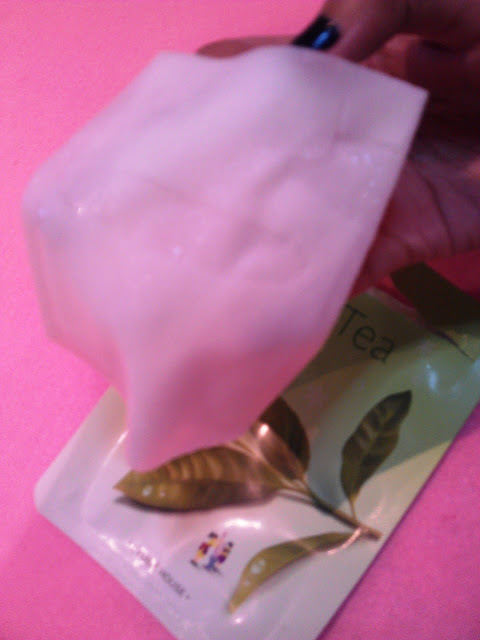 Essence mask contains green tea extract that soothes and comforts stressed and fatigued skin. Tension fit design for improved facial adhesion and comfort. 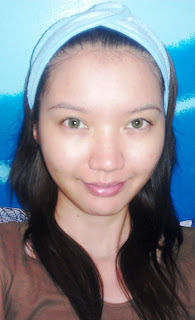 Apply mask sheet to cleansed face and leave on for 20-30 minutes. Remove mask and massage remaining solution into skin with hands. 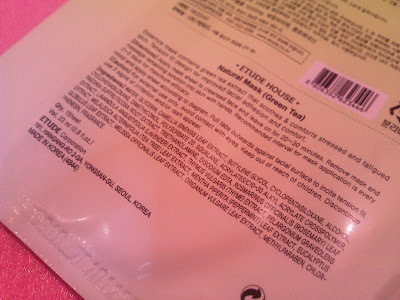 Recommended interval for mask application is every 2~3 days for maximum efficacy. Hold and apply sheet according to diagram below. Pull tabs outwards against facial surface to incite tension fit. Smells a little bit of green tea. Kinda messy when unfolding the mask from its packaging. Drips below my chin area. 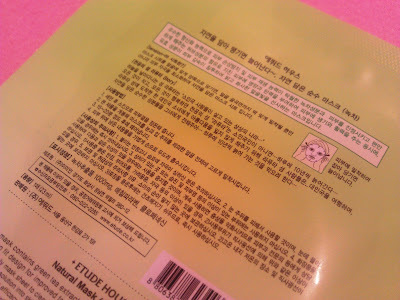 I just wish the directions and labels are all in English. Yep, over all it's ok. It does refresh my face. But I didn't notice any huge difference. Do you love face masks? Do you use them regularly? I've seen these types of masks before and used them but never a green tea one! It seems as if it brightened your skin but i'm sorry you didn't see a huge difference. your face looks brighter and glowy after the mask. i use face mask 1-3 times a week. my fav is silk whitia. 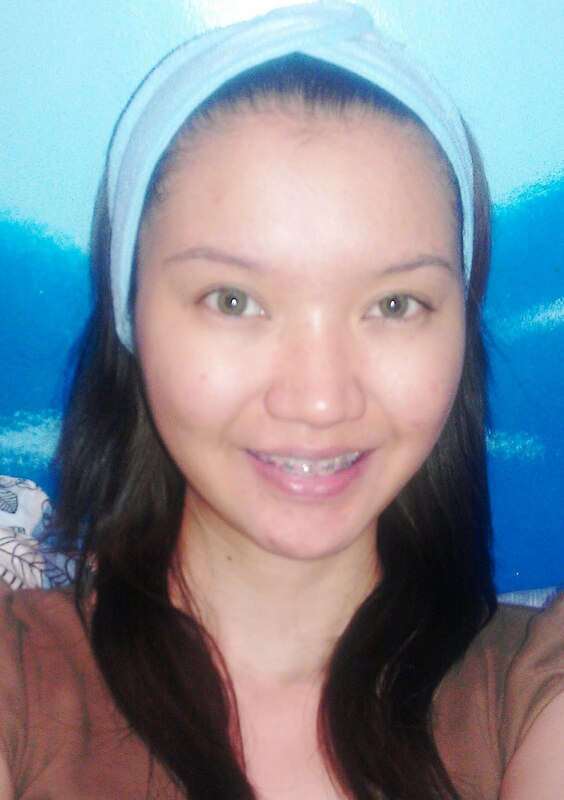 very moisturizing and whitening. they do some nice chocolate ones and green tea ones which work really well on me in Claires :) new reader to this blog, loving the 3/5 bunnies - following you! I don't really use face masks all that often! But it did make a difference! 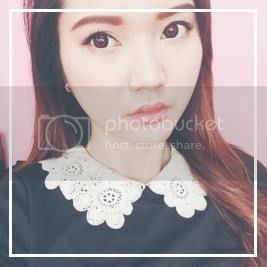 Your blog is so so so so cute! I love it! Yeah, I love face masks! Korean brands are great!! They have wonderful cosmetics products! I love your blog! It's so so so so cute! Yeah, I love face masks! Korean brands are great! They have wonderful cosmetics products! sorry for this 3 posts...I messed up with posting my comment!! so sorry! same here...sorry for this 3 posts...I messed up with posting my comment!! so sorry! wow loving the product where did you get it from...mee want one..